I just spent the most amazing one-week of my life in Bali (with my wedding and post-wedding holiday) – and as I posted the pictures up on my social medias, there are so many positive feedbacks because who can resist the beautiful beaches and delicious food? I have always loved Bali. Every time I went there, I’ve always found new places to visit and new things to do. Bali always have new places coming up and it’s interesting to see how much Bali has changed over the span of years. A few years ago, Kuta and Legian was the ‘it’ place to go, followed later on by Seminyak area. But now, there’s another soon-to-be ‘it’ area; Canggu. 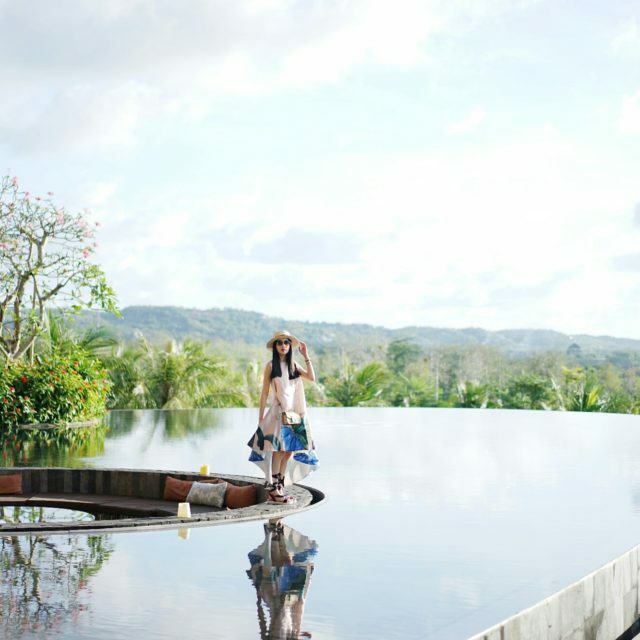 As I’ve seen in Instagram posts, La Laguna Bali is now one of must-visit area. With its unique design and clear beach, you’ll surely be able to enjoy more of Bali. Not forget to mention, it’s a picturesque place to take a picture too. 50 shades of green? With Tegelalang Rice Terrace, a picture is indeed worth a thousand words. I don’t know what else to explain, but this place is breathtaking – especially if you want to embrace tropical view – because you could never have thought that there’s so much shades of green. If you happen to stay in Nusa Dua and away from the crowded Seminyak with not much choice of restaurants, give Warung Dobiel a visit. The downside? You’ll have to queue. If you can eat pork, go try. It’s worth the wait. Beautiful sunset with good food! Seriously, what more can you ask? I can stay there as I chill with some friends and iced drinks. The sound of waves and laughter go along well in this place! Coalescing the vibe of Acapulco in 1960s with coco palms and glassy swells, Motel Mexicola is the perfect go-to place in Bali. It is very colorful and captivating at first sight with old objects and weird paintings as decoration. I’d definitely recommend this place to chill.